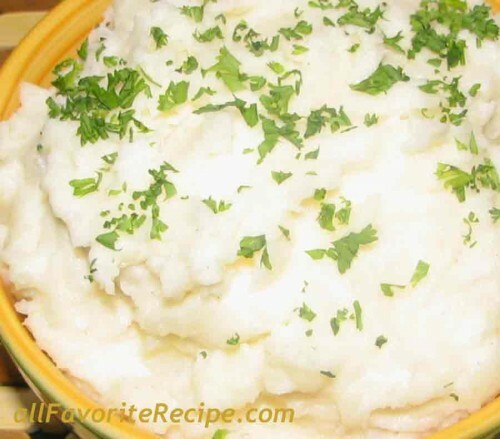 Mashed potatoes require a little extra effort to make it perfect but the results will be great. Processing the potatoes using a food processor, blender or any other motorized apparatus will turn the potatoes like a paste due to over-beating which breaks down its cells and releases their starch. While ricing or mashing potatoes by hand always produce a perfect mashed potatoes with the help of a ricer, food mill, potato masher or even just a wooden spoon. The best-mashed potatoes are Russet and Yukon gold potatoes. In choosing them, select the firm potatoes without any sign of green and no soft or discolored spots. And lastly, do not refrigerate your potatoes because the potato starch will gradually change into sugar causing unpleasantly sweet potatoes that will not cook up well. Put the potatoes into a large pot. Add the bay leaf, 2 tbsp. salt, and cover with cold water. Bring to a boil over medium-high heat and cook until the potatoes are tender for about 20 minutes. Drain the potatoes well and discard the bay leaf. Pass the potatoes through a ricer or a food mill. Alternatively, mashed the potatoes by hand using a potato masher or a wooden spoon. Meanwhile, heat the cream and butter in a small saucepan over medium-low heat, stirring occasionally. Do not boil. Remove from heat. Pour the hot cream onto the mashed potatoes just enough to obtain desired consistency. Add salt and pepper to taste, mixing together with a spoon until well blended. Transfer the mashed potatoes to a serving dish. Garnish with chopped chives (or parsley) and serve. 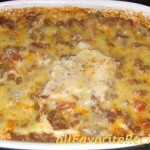 Have You Tried These Other Cooking Recipe?